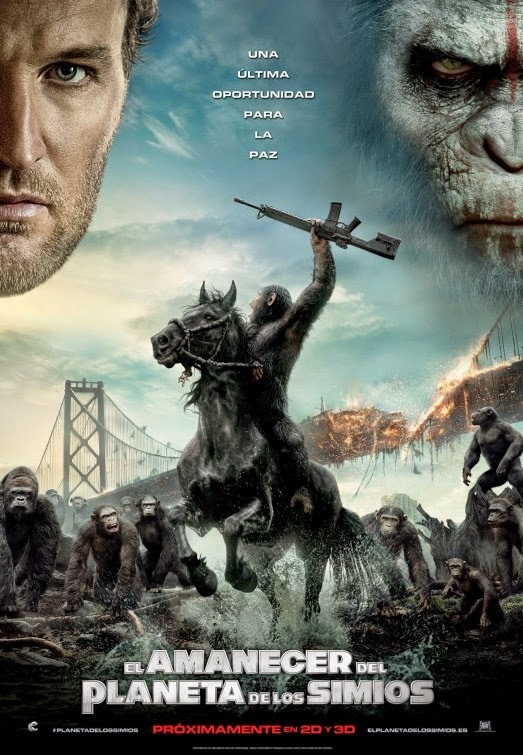 This poster for the upcoming Dawn Of The Planet Of The Apes is incredibly cool and may have just won our Best Movie Poster for 2014. Cesar with a gun on a horse is just an awe-inspiring image. The poster also comes in a slightly less cool international version due to the annoying floating heads on it. 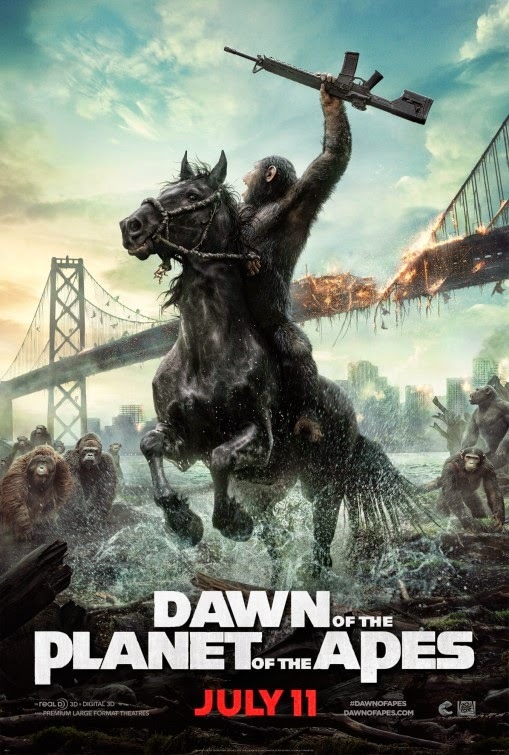 Dawn Of The Planet Of The Apes hits July 11th.